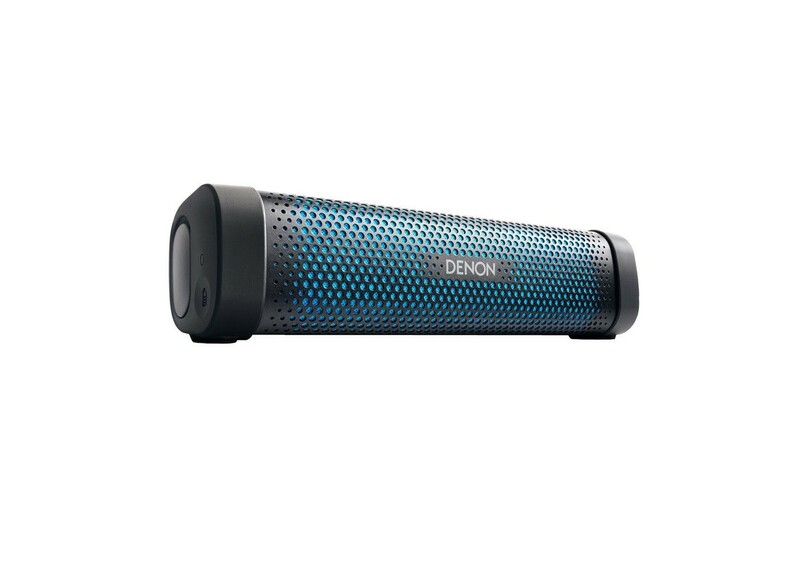 Denon Envaya Mini DSB-100 is a Water Resistant Portable Bluetooth Speaker featuring Bluetooth aptX Low Latency offering CD quality audio streaming over Bluetooth minimizing latency and ‘lipsync’ issues. Each speaker has been sound engineered to create unmatched musical performance and is equiped with dual 40mm wide range drivers delivering extended range and higher volume with lower distortion. Fully featured, this unit even includes NFC Bluetooth Pairing making phone pairing incredibly easy and fast, a rechargeable battery for on the go use, and a built-in, noise cancelling speaker phone option. Bluetooth aptX Low Latency audio streaming makes the Envaya Mini ideal for listening to music, watching films, TV or video, or for gaming. A higher quality Bluetooth streaming format, aptX provides CD quality sound – as if you were connected to the speaker with an audio cable (most Bluetooth speaker systems employ standard Bluetooth streaming). NFC pairing lets the user tap any NFC enabled Bluetooth audio device, for automatic pairing with no button pressing. Multi-point functionality enables up to two devices to connect simultaneously with the Envaya Mini, to enable sharing music among friends; the speaker plays one audio stream at a time, switching to another one when the current user pauses their music.